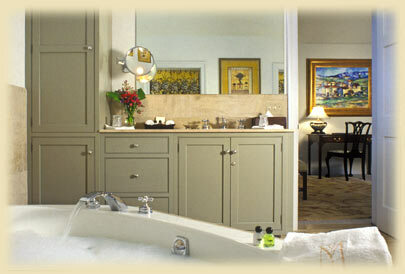 There are 28 richly furnished guest rooms, many with private, professionally landscaped courtyards and gas fireplaces. 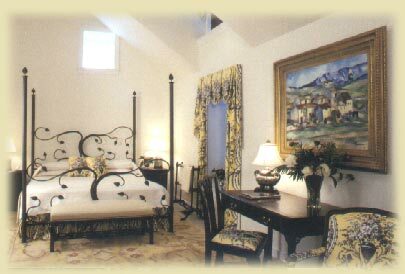 Each room and suite is unique, with its own individual character and features. All guest rooms have deluxe private baths, dual-line telephone with dataport for computer use, complimentary high-speed wireless, cable TV and wet bar. Many have sitting rooms with gas fireplaces. All rooms and suites are furnished with period and reproduction furniture and appointed with the sophisticated traveler in mind. We provide nightly turndown service, complimentary daily New York Times delivery, elegant bathrooms with heated towel racks, robes and in-room safes. Room service is available. On site parking is free. All rooms offer a refrigerator filled with complimentary sodas and water, microwave, coffee maker, and china, glass and flatware. Superior suites are exquisite. 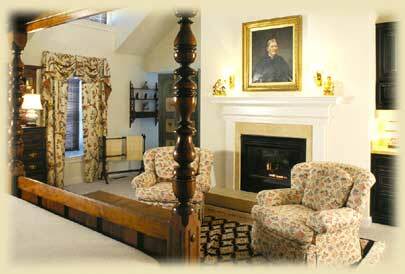 Large rooms with gas fireplace beautifully decorated in 19th century original and reproduction antiques. Superior suites feature large private, marble bath with an oversized walk-in shower and soaking tubs, heated towel racks and illuminated make-up mirrors. 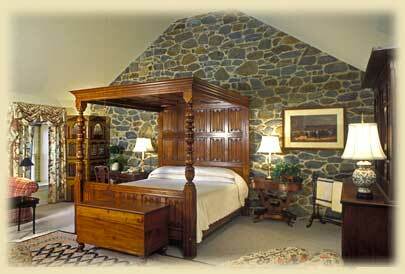 Rates are per night, based on single or double occupancy and vary according to room size and location. 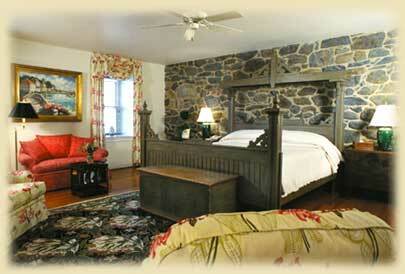 Compulsory 8% Delaware state lodging tax and 3% New Castle County tax not included.